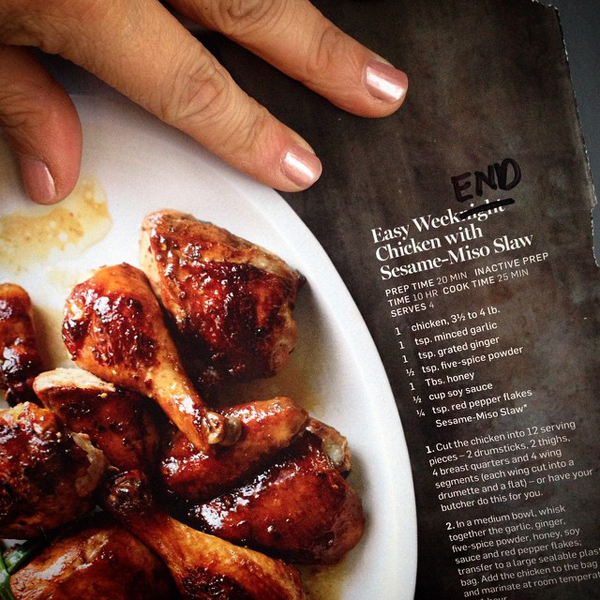 I was flipping through the William Sonoma catalogue when I spied this recipe for Easy Weeknight Chicken. I thought the ingredients sounded really good. 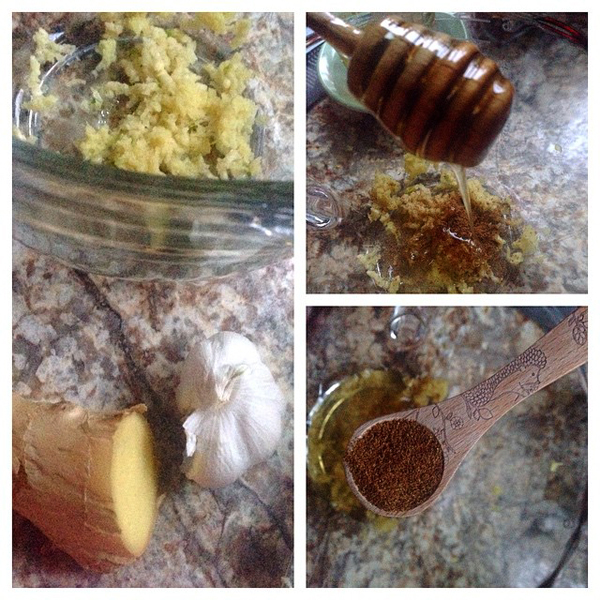 Then I saw that it has to soak in the marinade for one hour. In my book, that is not a weeknight dinner. Ironically I should have been tipped off by the misprint of "10 hour incative prep time" as a warning... THIS IS NOT A WEEKNIGHT DINNER. I made it on the weekend instead. And it was delicious.